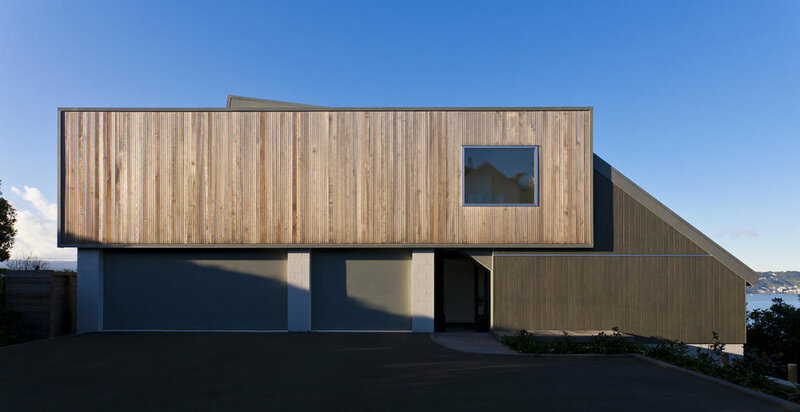 This dwelling is part of a development of three that started with a townhouse and apartment and will finish with the construction of a stand alone house. The townhouse, 50B was a speculator and has a standard 3 bedrooms setup. It forms the base of the apartment. The apartment is on top of everything. 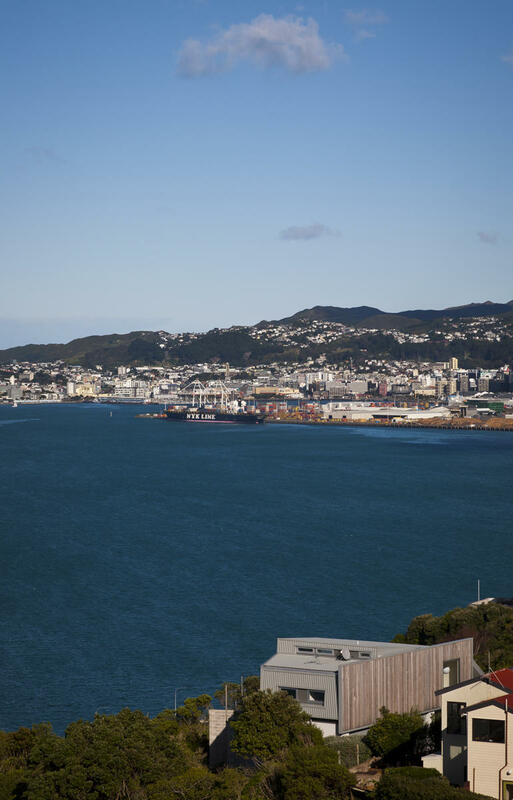 The brief was to make the most of the full harbour views and create a private, exciting open plan living environment for a young couple. The inspiration is a single room apartment where everything is in one space. The size and position of the space due to site restrictions and the requirements of the rest of the development suggest that it could never be used as a family home so this seemed appropriate. This resulted in the creation of three rooms but many spaces. 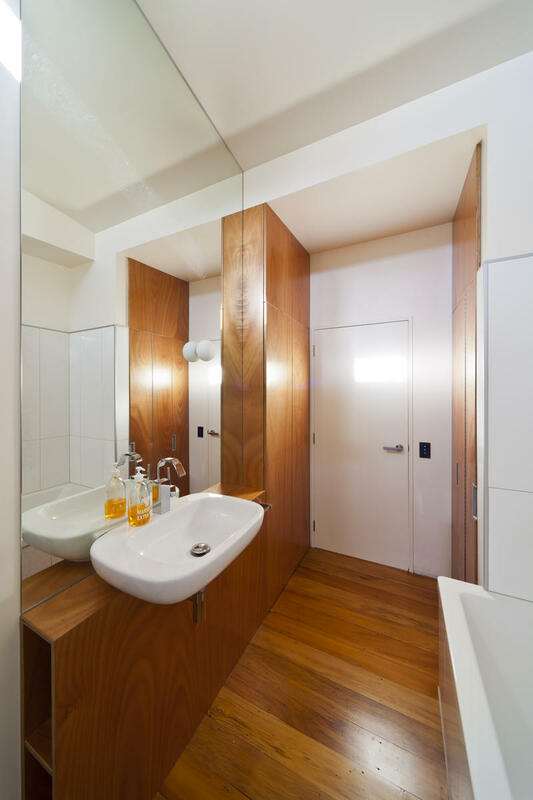 The bathroom has complete privacy with a high level window accessing the morning sun. The dressing room can be shut off but remains open with the help of mirrored glass. The main room has the entry, bedrooms, study, lounge, kitchen all separated carefully. It was important that the individual spaces felt like spaces rather than a portion of one big room, sharing the ‘space’ between rather than being in corners. Ceiling heights and projecting walls were used to increase this effect. The morning sun fills this space then tracks around during the day to the west facing deck, slowly re-entering in the afternoon. During the day it enters at certain points but quantity is sacrificed for privacy from the many neighbours. The stair acts as a heat sink and glows through on a sunny day. The main screening device presented to the neighbours is a cedar billboard. This not only includes those behind but below in the townhouse. Entry to both dwellings is below this billboard. It draws the whole building into one apparent mass distracting the occupant from the fact that there are two dwellings with the actual bulk of the building hiding behind. 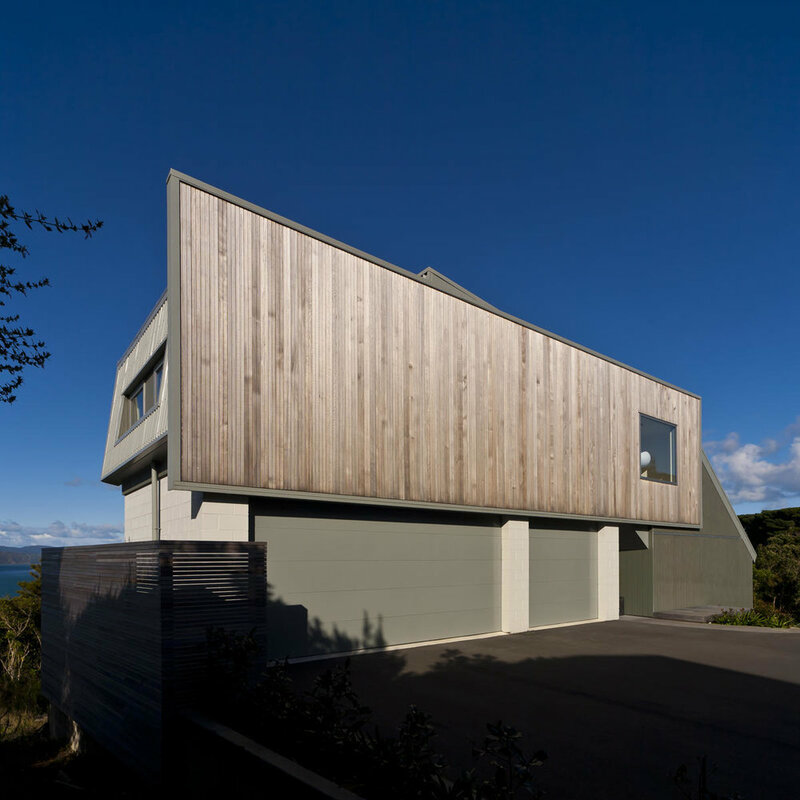 The materials selected are mainly for strength and economy with vertical cedar weatherboards being used to give a lift to the public side of the building. The interior is all white apart from plywood wall panels being used as a mirror effect between the internal kitchen joinery and the main longitudinal wall. 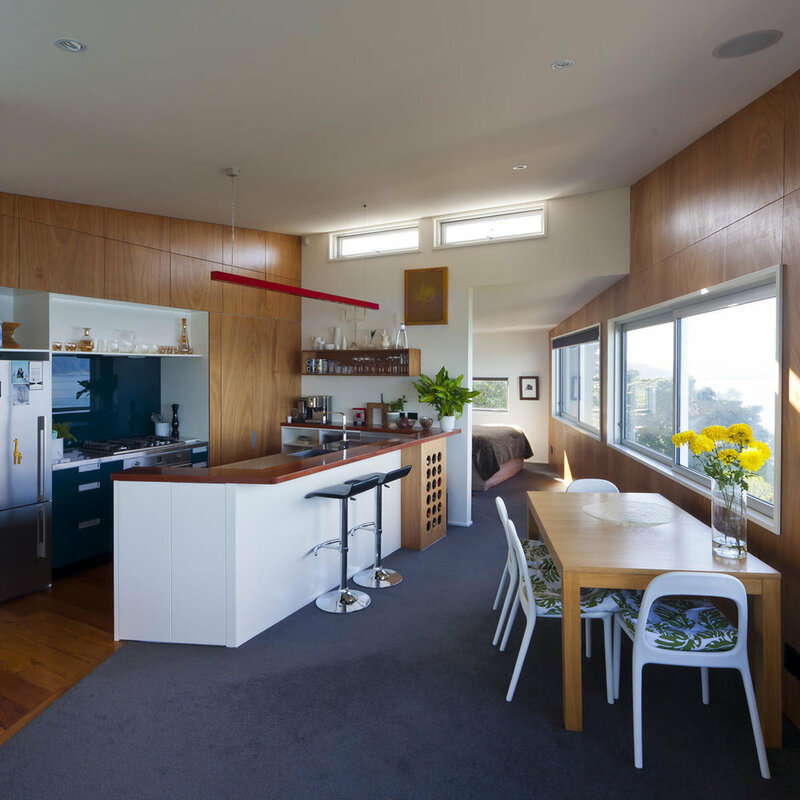 The timber flooring was salvaged from the condemned house that was removed from the site.